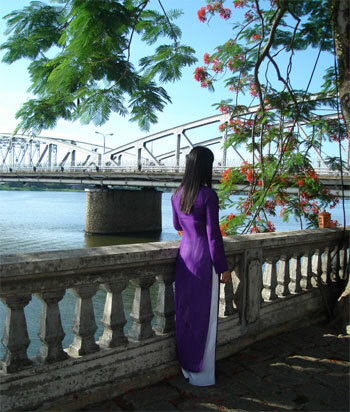 Hue's climate is quite temperate with cool wet winters and warm dry summers. The best time to visit is around March or April, when the weather warms up a bit and the rains have yet to start. The city is located in central Viet Nam on the banks of the Perfume River, just a few miles inland from the East Sea. It is about 700 km south of the national capital of Hanoi and about 1100km north of Ho Chi Minh City, the country’s largest city, formerly known as Saigon. 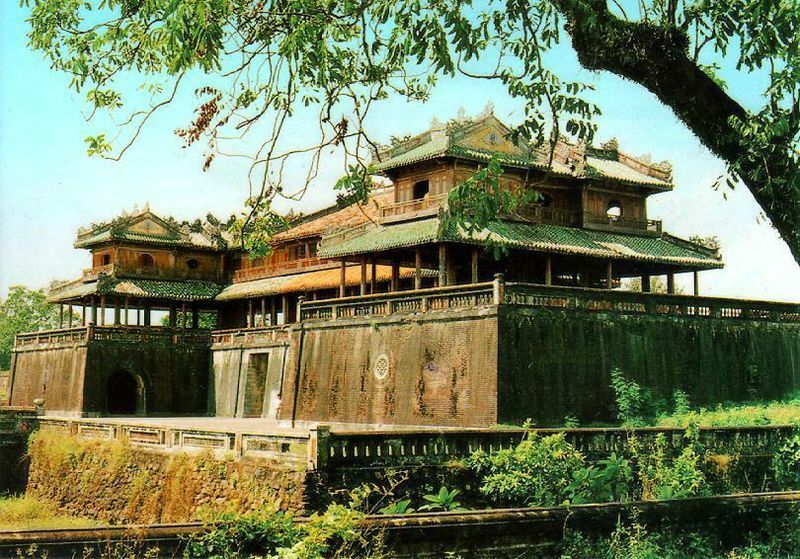 The Citadel in Hue is a historical site which was constructed in 1805 under the Nguyen Dynasty. From then on, it functioned as the imperial seat of the ancient government. Over the years, new buildings were added to strengthen the defense over attackers. The Citadel was once compared to the Forbidden City in Beijing, China; however, it was hardly damaged in 1947 by the French. Hue features a Tropical monsoon climate under the Koppen climate classification. The dry season is from March to August, with high temperatures of 35–40°C. The rainy season is from August to January, with a flood season from October, onwards. The average rainy season temperature is 20 °C, sometimes as low as 9°C. And Spring lasts from January to late February. 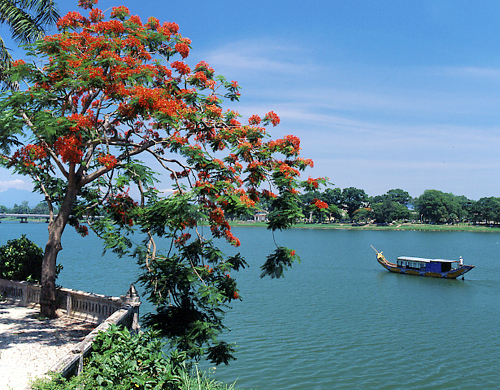 Hue is famous for its severe weather with boiling hot days in the summer and ceaseless raining weeks in the winter. Hue people, therefore, have formed their own culture to overcome geographical and climatic difficulties. This culture, seen through food, characteristics, and other aspects in daily life, reflects the typical feature of Hue people. Talking a boat trip on Huong river, enjoying the romantic scence, listening to songs of Hue (ho Hue) in a windy anf moonlight night os the ever lasting entertainment of travelers. Floating along the river, travelers can visit such attactions as Minh Mang tombs, Hon Chen temple, Thien Mu pagoda…Or drifting down Thuan An to sunbathe and relax at the beach. 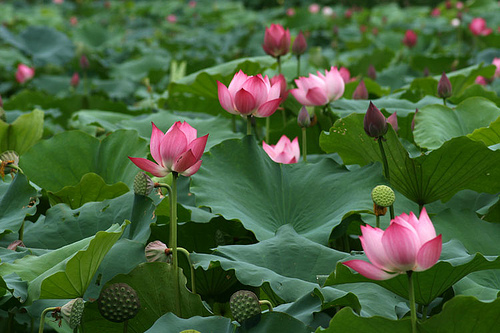 Lotus grows in Tinh Tam lake and its magnificent fragrance and color linger in summer. Legends have it that kings and mandarins came to this place to relax and drink tea scented with lotus from the lake. Hue is famous for its lotus products, especially Tinh Tam lotus. A trip to Vietnam is incomplete without indulging in Hue Tourism. Hue is a unique imperial city in Vietnam that still retains its appearance of a city in the Middle Ages, with the ancient monarchic constructions that have made it an immensely valuable museum. When should you visit Lai Chau?